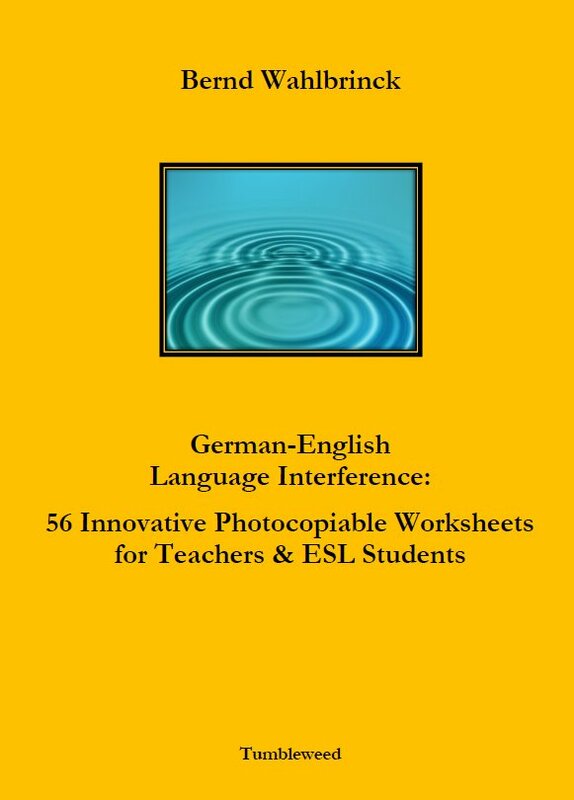 This textbook about German-English language interference comprises an extensive introduction to the topic, 56 innovative worksheets, and a humorous section. The worksheets appear on the left-hand page with the solutions on the opposite page, which should prove very convenient for teachers and ESL students. On the one hand there are innumerable cases of external interference, i.e. disruptions because of discrepancies between the German and the English language. 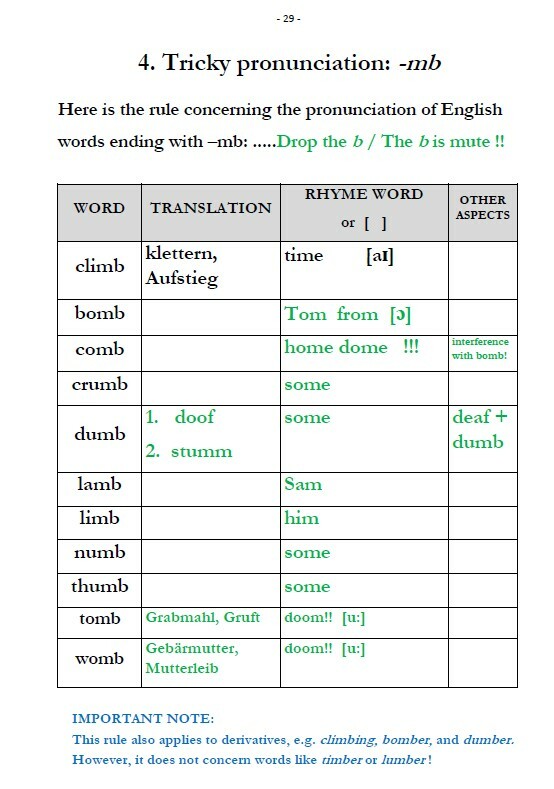 For example, the German expression ein Beispiel für induces most beginners to assume that the English preposition is the same, thus using an example for instead of an example of. On the other hand there are all kinds of internal interference, i.e. disruptions within the English language. A case in point is the following group of words, which are pronounced differently although they might seem to rhyme: cough - dough - plough - rough - though - through - tough. A comprehensive index complements the worksheets. 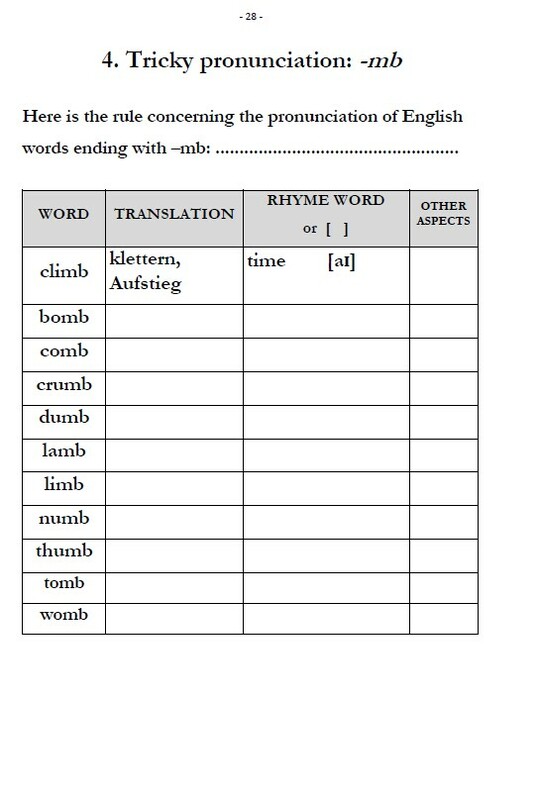 The textbook reflects the author’s extensive experience as an English teacher at a Gymnasium in northwest Germany. NOTE: This book is also available for € 9 as a pdf file which can swiftly be sent via email attachment. Of course, a pdf file does not give you the pleasure of holding a real book in your hands. Then again, it does have advantages - e.g. you can directly print out the worksheets, click on the internet links, etc.